NEW YORK — Three more members of the far-right group known as the Proud Boys were arrested and charged on Monday, more than a week after a violent brawl on the streets of Manhattan. The New York Police Department had already arrested two other Proud Boy members in connection to the melee. Police arrested Irvin Antillon, 41, of Queens, New York, and Douglas Lennan, 40, of Northport, New York, on charges of riot and assault, the NYPD said Monday. A third man, Maxwell Hare, 26, of Harrisburg, Pennsylvania, has been charged with gang assault, assault, riot and criminal possession of a weapon. The Proud Boys' founder and leader, Gavin McInnes, previously said he had been arranging the surrender of members wanted by the NYPD. John Kinsman, 39, was arrested Friday morning. He was charged with attempted gang assault, attempted assault, riot and criminal possession of a weapon. At his arraignment, prosecutors called Kinsman the "single most vicious" member of Proud Boys, the New York Post reported. The NYPD said it had been seeking the arrest of up to nine Proud Boys in connection to the brawl after McInnes' speech at the Metropolitan Republican Club on Oct. 12. Geoffrey Young, 38, was arrested Thursday. The NYPD told The New York Times last week that it had opened a "regular criminal investigation" into the group. The altercation between the Proud Boys members and anti-fascist protesters, or antifa, broke out about a block away when six people dressed in black and wearing masks confronted Proud Boys members, NYPD's Chief of Detectives Dermot Shea said Oct 15. One of those dressed in black threw a bottle at the Proud Boys group and a fight ensued for about 38 seconds until uniformed officers intervened. In a separate incident that night, police said three protesters were arrested after allegedly stealing a backpack from a man. Slurs and expletives can be heard in video showing the fight, as men kicked and punched several protesters on the sidewalk. 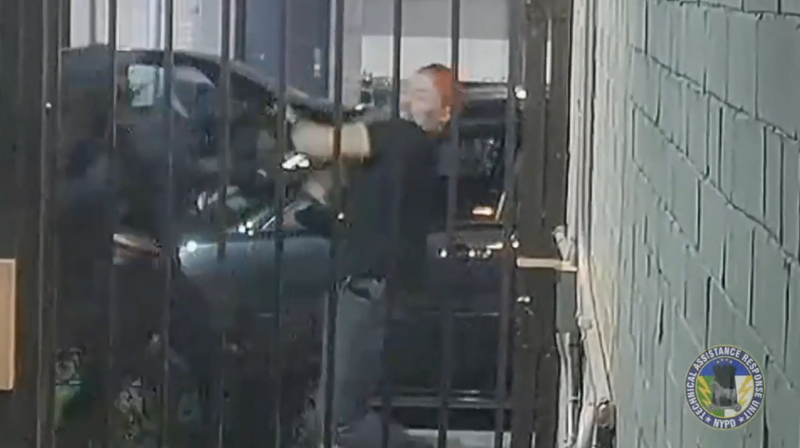 The NYPD released footage showing the altercation from an alternate angle in hopes of identifying the participants. McInnes, 48, who co-founded Vice Media and left the company in 2008, created the Proud Boys in 2016. The club's Facebook event for the speech described him as the "rebel of the right" and "banned from Twitter – this Godfather of the Hipster Movement has taken on and exposed the Deep State Socialists and stood up for Western Values." But the Southern Poverty Law Center says the Proud Boys and their leaders "regularly spout white nationalist memes and maintain affiliations with known extremists." The Metropolitan Republican Club has defended their decision to invite McInnes in a statement to BuzzFeed News: "Gavin's talk on Friday night, while at times was politically incorrect and a bit edgy, was certainly not inciting violence."